TOEIC - Test of English for International Communication has 4 parts: Listening, Reading, Speaking, and Writing. In the Listening test, you will be asked to demonstrate how well you understand spoken English. In the Reading test, you will read a variety of texts and answer several different types of reading comprehension questions. 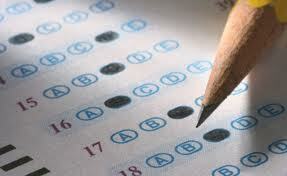 Speaking and writing tests measure different aspects of your speaking and writing ability. Following tests will help you to improve your English skills before taking a real TOEIC test.